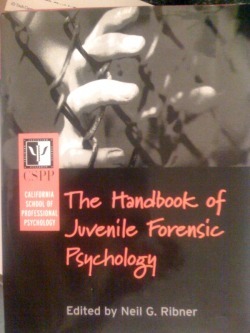 Dr. Corinne Hickson contributor to: The Handbook of Juvenile Forensic Psychology. Dr. Corinne Hickson, and co-authors Laura Dorin and Christine Lawson, have delineated the tricky and complex process of helping children and their parents be evaluated during Child Custody battles. Such battles are divisive and destructive a large percentage of the time. Worse yet, if Evaluators are careless or minimally investigatory they will compound the devisiveness that exists within the divided family. Dr. Corinne Hickson and her co-authors however offer a thorough, three level and three tiered approach to this custody evaluation process. Her intentions were purely to provide the least likelihood of making a mistake that would tarnish the family and the child for life. She appreciates the difficulty of the task and attempts to address the complexities of the process with some unique, constructive suggestions. Parents, lawyers, psychologists, hearing officers, and child custody evaluators would be well advantaged to consult this article and many others contained in this anthology. Dr. Corinne Hickson can be heard in an interview with Clinical Psychologist, Dr. Carol Francis, discussing the topic of this article. Click the link to the broadcast below.